You may see the glory, but you don't know the story! Join us for the authentic time of praise worship and transparency. Hear from women who have been there, done that, and lived to tell about it. 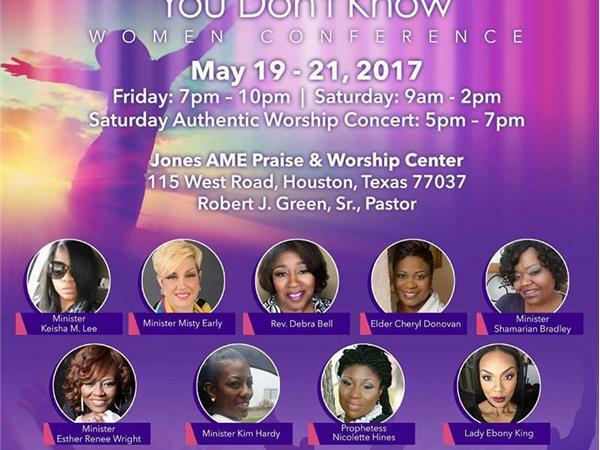 The Alabaster Box Experience: You Don't Know... Conference will be an opportunity for women to hear from God and answer regardless of what they've been through. Healing, Wholeness, and Honesty is what you can expect from The Alabaster Box Experience: You Don't Know.